I was on a training course recently learning about the SBC5000/SWe series SBCs from Sonus as these are now supported with Microsoft Lync 2013! This range of SBCs are completely different from the SBC1000/2000 range that you may be used to in your previous Lync deployments. The reason for this difference is that the SBC1000/2000 range were originally designed around a completely different code base by the NET company which was later acquired by Sonus. The SBC5000 was originally designed for large carrier deployments, however, a newer virtualised version of the SBC5000 called the SWe (Software Edition) starts to make these systems much more affordable and interesting for enterprise sized customers. During the training course we were introduced to an online tool that Sonus has for parsing individual Call Detail Records (CDR) to show you what each field in the record represents. This may not sound like much until you see the size of a SBC5000’s CDR record… Behold! From this mess you might see how finding field 134 might take some time… So Sonus’ online tool is a very handy thing. The CDR records also contain a great deal of useful information about a call (kind of like Lync Monitoring Database records) such as Codecs Used, if transcoding took place, SBC routes used, reason for disconnection, etc. 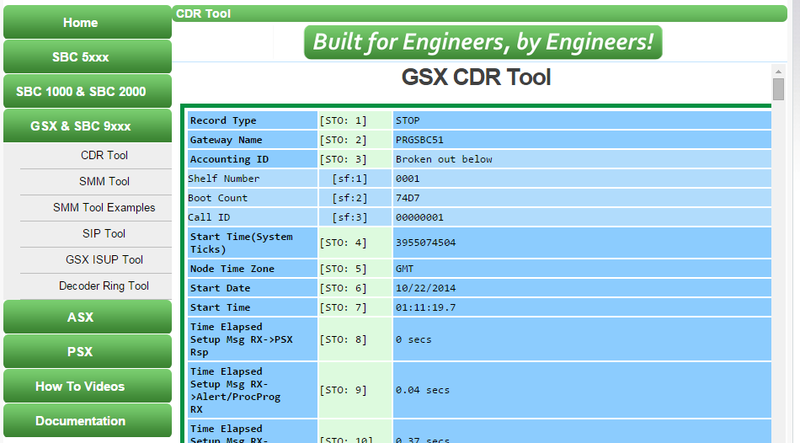 These records can be extremely useful when troubleshooting issues with the system. 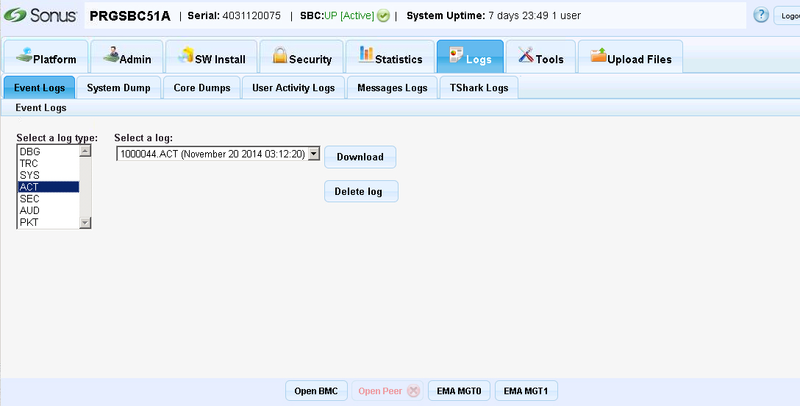 Import SBC5000 or SWe CDR files (ACT files). Left hand list view will display all of the records that are in the file. Right hand list view displays all of the fields in the selected records. Subfields (ie. fields that contain multiple pieces of information in them) are individually broken out and displayed in grey colour. Fields are decoded where possible with the decoded value of the field shown in brackets next to the field entry. Fixed a few small parser bugs. Added a show as text button. Then open the Sonus SBC 5k/SWe CDR Decoder tool in Powershell and select the “Browse…“ button, select the ACT file, and click the “Load” button to import the contents of the file. Now you’ll be able to browse the records in the left hand listview and each record you open will be displayed in the right hand listview. At this stage there may not be many deployments of the Sonus SBC5000 or SWe in Lync deployments around the world. However, I can see the SWe being a highly flexible and tenantable virtualised SIP Trunk SBC in the future. So even if this tool doesn’t seem immediately useful it may someday become handy for troubleshooting your future SWe deployments!